The memorial is one of a series of large granite mountain boulders, all about the same size but of different shapes that comprise the “Open-Air Westminster Abbey of the South.” Each marker contains a bronze plaque with date of birth and death and a statement about the person’s significance to southern culture or in some cases their relationship to Calvary Episcopal Church. 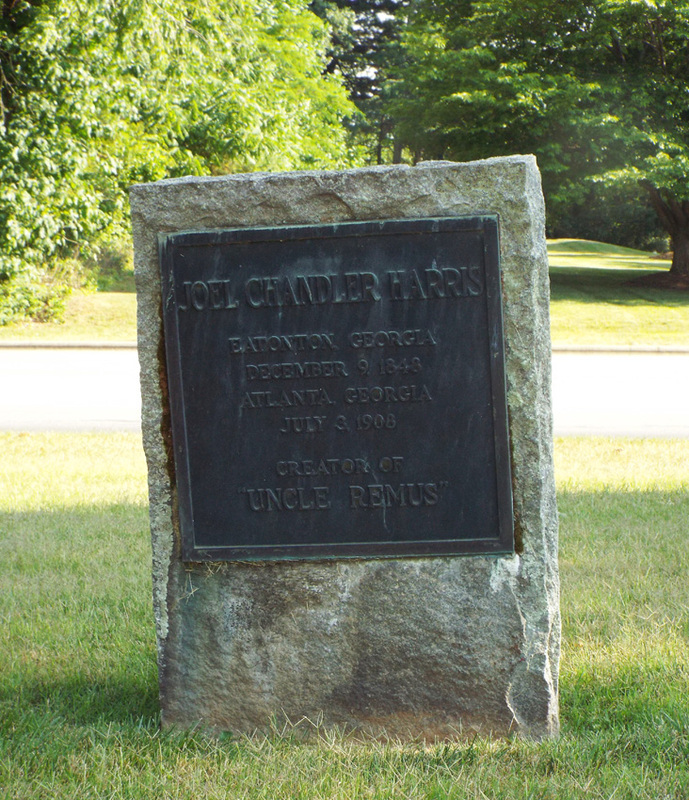 The inscription is dated June 9, 1929 but the dedication ceremony was held on August 25, 1929. James B. Nevin, editor of the Atlanta Georgia, was the featured speaker. Mrs. A.M. Wilson president of the Uncle Remus Memorial Association presented the tablet and Mrs. Robert Blackburn who was “famous for her gift of dialect interpretation” gave an Uncle Remus reading. 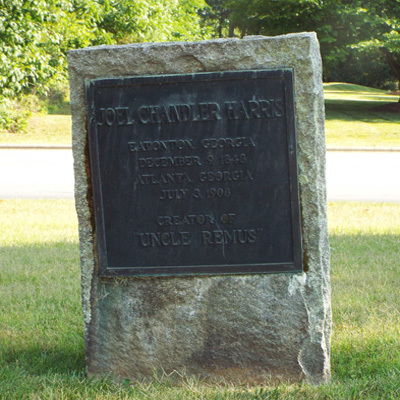 Grandchildren of Joel Chandler Harris unveiled the memorial. Joel Chandler Harris is most well known as the author of Uncle Remus tales which are African American trickster stories that tell the exploits of Brer Rabbit, Brer Fox, and other "creeturs.” That were recreated in black regional dialect with his earliest stories had been collected from several black storytellers he met while working on a plantation during the Civil War years. Harris work was the largest collection of African-American folktales published during the 19 th century.